Help Make Seattle Affordable for All. Vote YES for Homes! 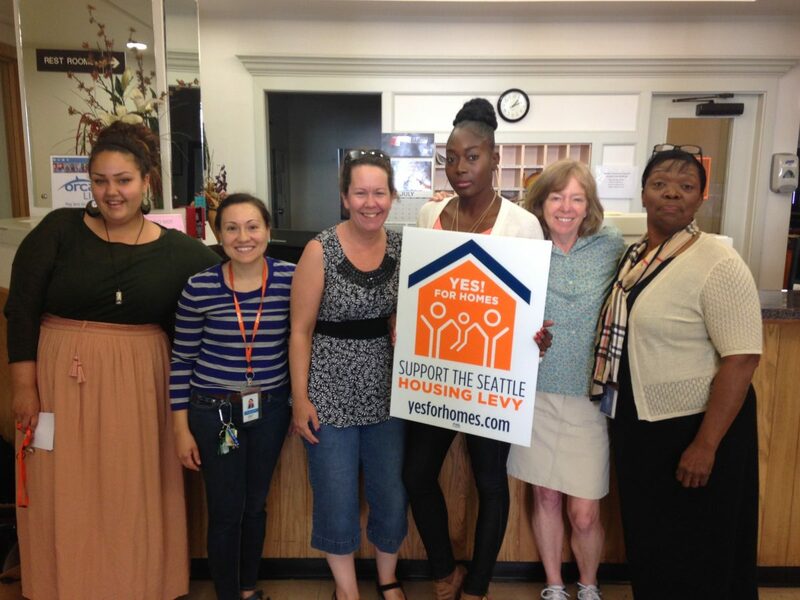 Staff at YWCA Seattle | King | Snohomish show their support for Prop. 1, the Seattle Housing Levy. We all know that Seattle is facing a housing affordability crisis. We see it in the recurring headlines about skyrocketing home prices and rising rents. As housing costs rise, working families and other lower-income residents are being pushed out of the city. It’s clear that we need to do more to keep Seattle affordable for all of our residents. Hospital workers, preschool teachers, seniors and others on fixed incomes must be able to remain in the city. And we must also do more to provide housing for people experiencing homelessness. On the Aug. 2 primary ballot, Seattle voters have the opportunity to take a major step forward in addressing the city’s growing housing-affordability crisis by supporting Proposition 1, the Seattle Housing Levy. The $290 million, seven-year proposal renews and expands the current housing levy, which expires at the end of the year. The housing levy is the single-most effective solution we have to ensure our city remains a place where people of all incomes can live. It is a key piece of the city’s comprehensive, multi-pronged strategy to address Seattle’s broader affordability challenges. Prop. 1 would have a major positive impact, with a goal of producing and preserving 2,150 affordable homes (compared to the goal of 1,670 homes for the current levy), while providing emergency rental assistance for 4,500 Seattle households at risk of becoming homeless. This year’s housing levy would help ensure that kids living in poverty have a safe place to sleep and study so they can excel in school. It would create stable homes for seniors on fixed incomes. It would help low-wage workers, who provide crucial services for our community, to afford to rent an apartment in the city where they work. And people experiencing homelessness would have the stability of a home and a chance to get back on their feet. 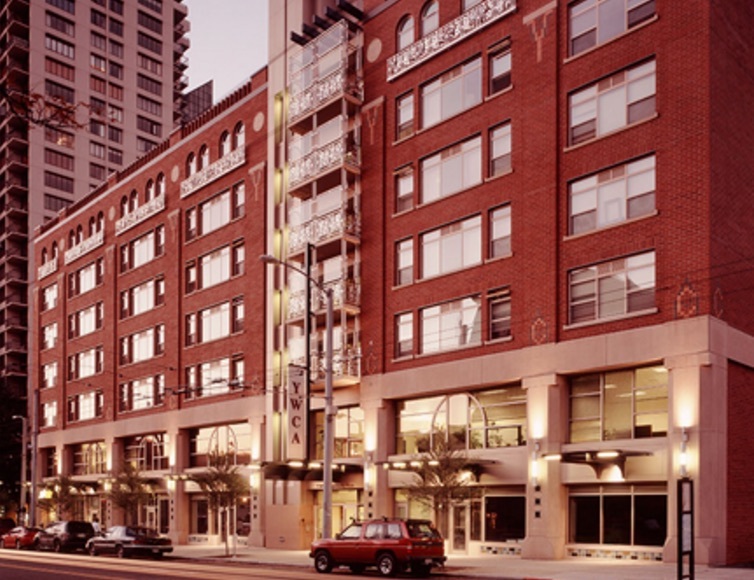 YWCA’s Opportunity Place was supported by Seattle Housing Levy funds. It includes 145 apartments that are home to people with very low incomes — less than $18,550 a year. For 35 years, Seattle voters have invested in affordable housing, and this year’s levy builds upon a long track record of success. Seattle’s housing-levy investments consistently meet or exceed targets for construction and preservation of affordable housing. Because of the housing levy, Seattle now has more than 12,500 affordable homes throughout the city. With rents across the city increasing by 8 percent or more annually, the levy’s emphasis on providing emergency short-term rental assistance and stability services is particularly important. The easiest way to combat homelessness, after all, is to prevent families from experiencing this trauma in the first place. Prop. 1 would deliver these substantial benefits at a modest cost. The owner of a median-value home ($480,000 in 2016) would pay $122 a year, which is only $5 a month more than the expiring housing levy. That is a small price to pay for a long-term investment that would create affordable homes for low-income Seattleites for 50 years or more. In short, this housing levy would expand on the proven effectiveness of the prior housing levies and would continue the city’s commitment to addressing the housing needs of our most vulnerable neighbors. Prop. 1 is endorsed by Mayor Ed Murray, all nine City Council members, by housing advocates, Democratic district organizations, business and labor groups, and by the League of Women Voters of Seattle. Please return your primary ballot by Aug. 2, and remember to vote “yes” on Seattle Prop. 1, the Seattle Housing Levy.